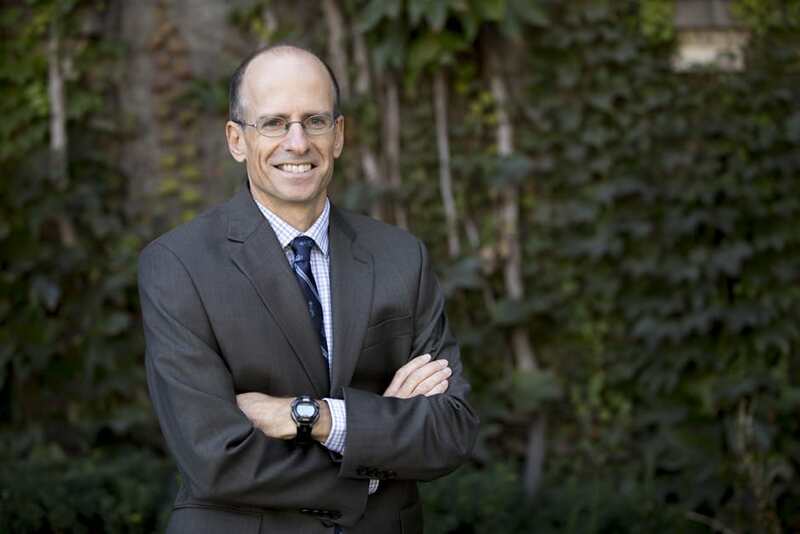 On October 23, professor Ed Iacobucci was named the new dean of the University of Toronto’s Faculty of Law. He currently serves as the faculty’s associate dean of research and Osler Chair in Business Law. A scion of a distinguished legal family with deep roots at the university, Iacobucci’s father, Frank, served as dean of the Faculty of Law from 1979 to 1983. “I’ve been here a long time, and I care a lot about the place,” said Iacobucci. Before taking office on January 1, Iacobucci said, his first priority is to consult the law school’s stakeholders to determine the school’s order of business. “I hope to get a real sense of what the priorities are… I think there are opportunities for outreach on different kinds of dimensions, and I’d like to hear what people think about that,” he said. Nonetheless, he has an idea of what some of the key issues will be over his five-year tenure. Tuition, which increased by 320 per cent under former dean Ron Daniels, is an issue for many prospective and current U of T law students. “Accessibility will undoubtedly be a priority,” he added. Asked how he would maintain U of T’s status at the top common law school in Canada, Iacobucci said that the faculty must work to take advantage of the opportunities presented by globalization, while not compromising the school’s defining feature: an academic approach to legal education. U of T placed first overall in the 2013 Maclean’s Canadian Law School Rankings. Iacobucci also favoured furthering involvement with other U of T departments. “I think it’s worth exploring a greater outreach within the university, with the Munk School, for example,” he said. “With the building ready to go [in 2016], we’re in a good position to start thinking about what we’re going to do programmatically to make this place even stronger. It’s a really exciting time and I’m just delighted to be a part of it,” he added. However, Ella Henry and Riaz Sayani-Mulji of the U of T Law Union were less optimistic, saying the appointment may not be a good sign for students in difficult financial circumstances. “The university’s decision to appoint Prof. Iacobucci as Dean suggests to many that the school is more interested in maintaining its old boys club, than addressing issues of affordability, accessibility and diversity,” they said. Furthermore, as reported by the U of T law students’ paper Ultra Vires, many students felt their input in his selection process was not taken seriously. Padraigin Murphy, vice-president, Student Affairs and Governance at the Students’ Law Society, reiterated that sentiment. “It is no secret that students have been distrustful of this process since the beginning. That said, the process is what it is, and it isn’t set by the Faculty of Law,” Murphy said. However, Murphy remained positive about the appointment. “I, for one, am very excited about this appointment, and optimistic for the changes on the horizon for our community,” Murphy said. Similarly, Mayo Moran, Trinity College provost and former law dean, had nothing but praise for Iacobucci. “He is an absolutely first-rate academic, an outstanding teacher and an engaged administrator and university citizen. Any institution would be fortunate to have Ed as a leader and there could not be a more fitting choice to lead one of the world’s great law schools,” she said.